There is so much popular-science out there that describes sitting as the new smoking. But, there’s also some research that talk about standing all day not being good for the heart, etc. This article refers to a lot of research that present both sides of the coin. I’m currently leaning towards switching positions regularly, rather than staying in a single posture for hours together. Standing or sitting – keep moving, keep taking breaks. But, standing makes it slightly easier to get more movement - just removing the need to get up from that chair, seems to help. 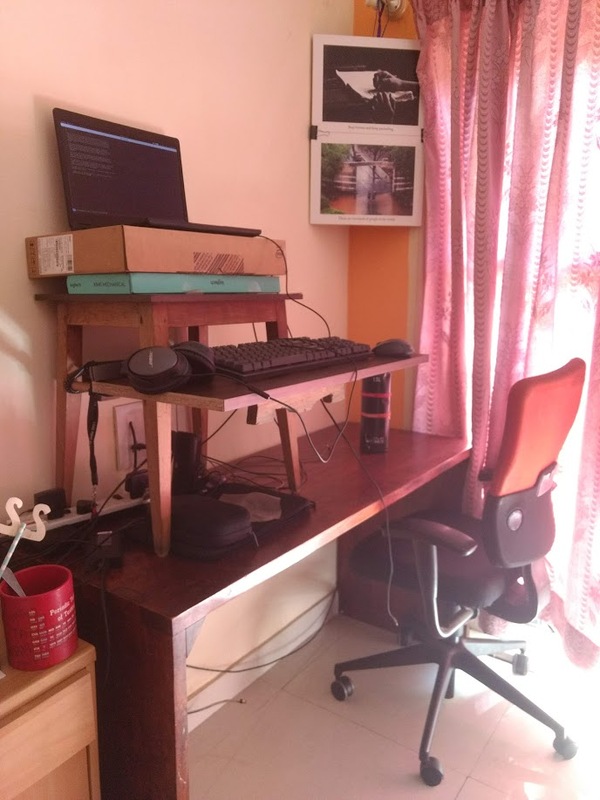 Some years ago, I built myself another make-shift standing desk, but didn’t end up using it - because it turned out to be not sufficiently big and comfortable to work on. 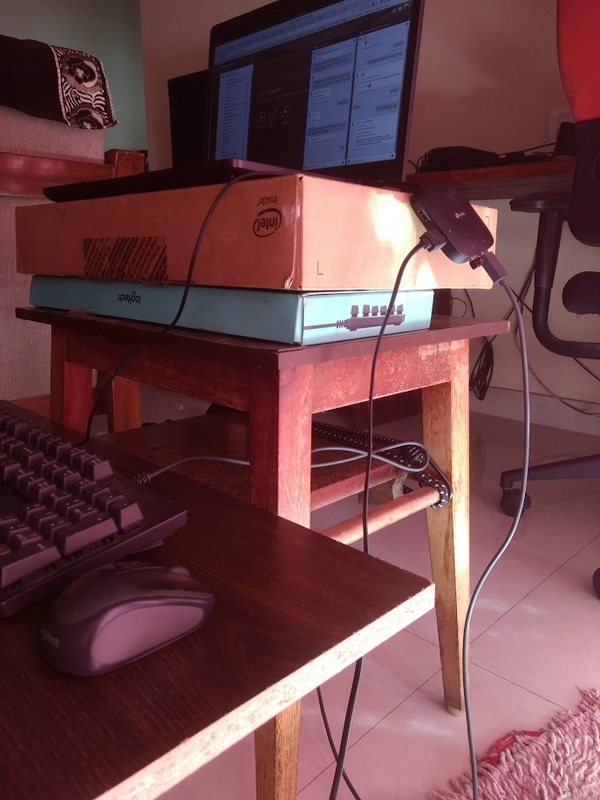 I have been looking around on the Internet to buy myself a standing desk. But, they are either super expensive, or not adjustable enough to ensure the right ergonomics. Given there’s so much being written against sitting, I’d have expected there to be enough demand for these desks to bring down their prices! 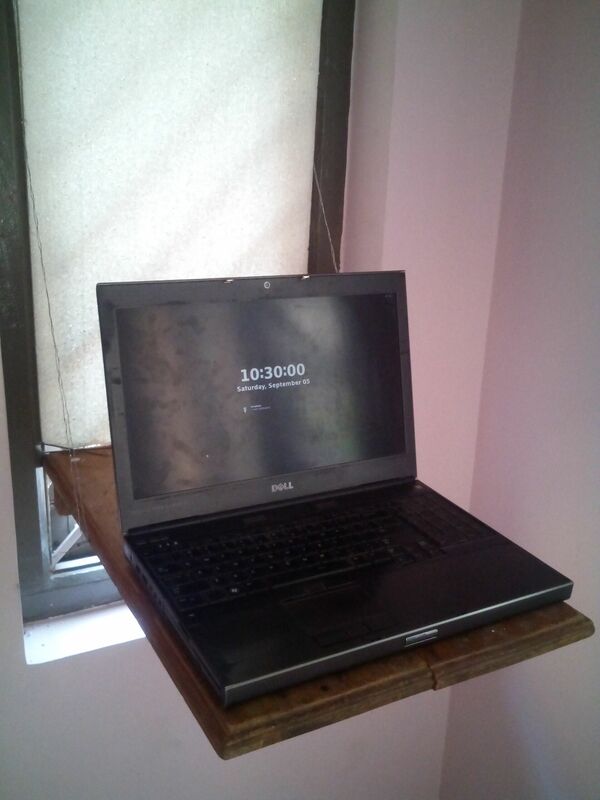 Last week, I built another desk, which feels much more sturdy than the previous one. It’s also much more easy to move around (within the house), and a breeze to assemble and disassemble. Again, I re-purposed some “furniture” lying around. I’ve been using it only for a few days now. I’ll probably make another post with my experiences of using it. I plan to set it on the floor and use it as a squat desk, when I’m tired of standing. Let’s see how it goes! 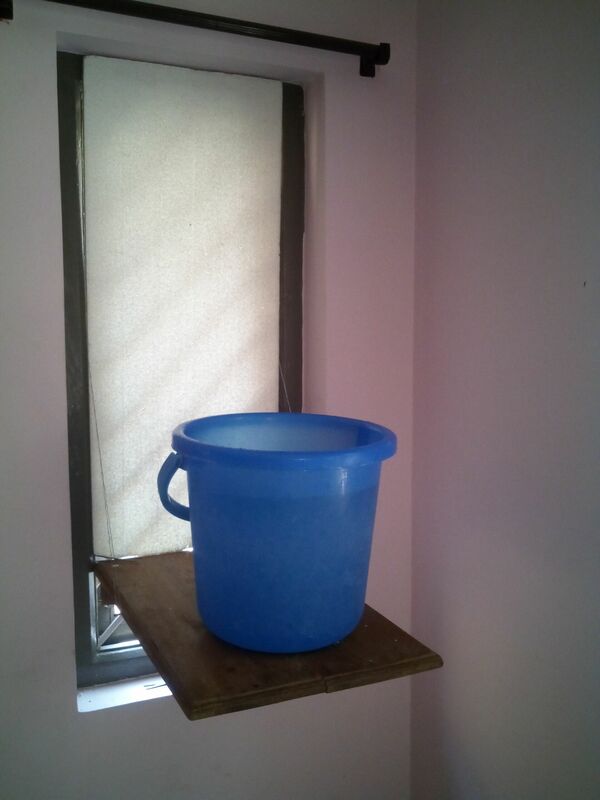 Thanks Shantanu Choudhary for reading a draft of this post.